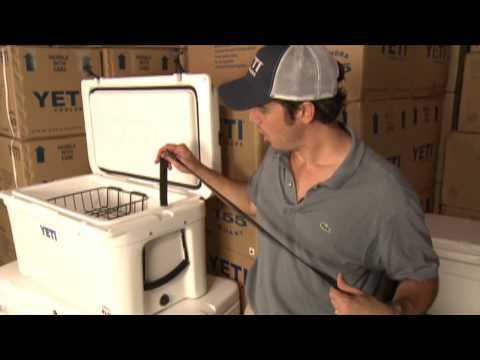 The construction of the Yeti Tundra 35 Cooler is carried to the extreme, because there are elite groups of outdoorsmen and adventurers who seek extremes. Desert sun has scorched these coolers. Blizzards have frozen them. Bears have gnawed on them. They have tumbled off trucks and cliffs. All the while, Tundra coolers have kept their cool. 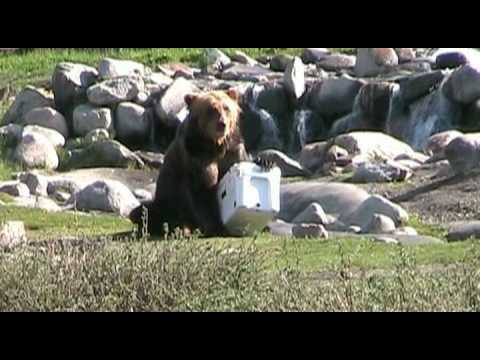 This is one ice chest that puts no conditions on reliability under the harshest conditions. There's no better choice than the Yeti 35 to keep food and drinks cold in a campsite, job site, pickup bed, or over your favorite fishing hole. One piece roto-molded UV polyethylene construction is extremely durable and a full length, self-stopping hinge can't hyper extend and break. 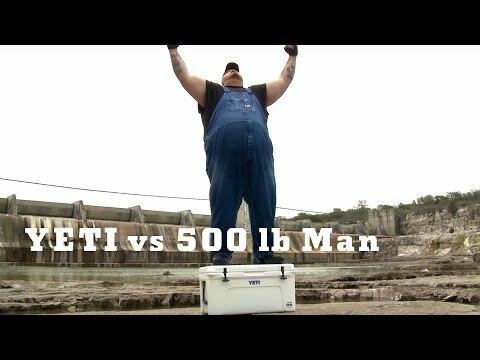 You'll never buy another cooler! Replaceable nylon rope and textured grip handles make carrying easier. Padlock holes are molded into the cooler body and lid for added security. Dry goods rack included. Int. Dim. : 14 x 9.5 x 10 in. We keep this on the boat, Works great on hot summer days. I only wish the drain plug was connected somehow, almost dropped it in the lake a few times.